Do a little more with 2D animation at Plutomen. Life is always about the choices. Each one of us has a choice including the marketers. Marketers have a choice to either build a great content for their brand to utilize it to boost the engagement and sales. Or they have a choice to build a poor content and derail their marketing efforts. A good marketer always yearns for a good and innovative content. Customers are inundated with the emails, texts, blogs, and advertisements. One can distinguish themselves by creating different and interesting content. One such content which differentiates itself from rest is ‘animation’. The animation is more often associated with the cartoons or with the children’s films. But, there is a lot more than that to animation. From keeping your audiences engaged to the ease of communicating concisely, marketers definitely need to add animation to their basket of content. There are various types of animation which most of the marketers are not even aware of. Before the advent of films, the animation was about the zero tape and flipbooks. Zero tapes had the series of static images which would appear as moving when the wheel is set on the motion. Flipbook also has the same concept with the pictures drawn on the pages of the book. It being one of the oldest forms of animation is also referred as Cel animation or Hand-drawn animation and dates back to the 20th century. Here hundreds and thousands of pictures are drawn by hand on cell or acetate sheets. These sheets were then photographed on the separate frames combining which created a film reel. The animation moved when the film reel was played. Computer and digital technology surely revolutionized the computer technology. Even though it was around the corner, animators really started using it was only in the 1990s. Till then traditional animation dominated the scenes of animation. 2D Animation : It is an extension of flipbook animation. A vector based animation, 2D animation employs the same technique as the traditional animation. 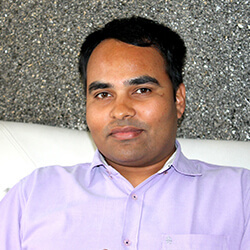 The difference is that it is created through using a computer technology. 2D animation can be used to showcase anything from landscapes, backgrounds to multiple characters. It is not utilized for artistic purposes. Advertisers and desktop publishers are the biggest users of 2D animation. 3D Animation : It is very different from 2D or traditional animation. It a process of generating 3D moving images by utilizing digital environment. 3D objects are carefully manipulated through software in order to give an illusion of animation. 3D animation deals in all three axes x, y, and z to have more depth as compared to 2D animation. Traditionally, 2D animation has existed since the 1800s. It involves a process of sketching each drawing slightly different from the other drawing in different poses for 24 seconds in a frame. Traditionally speaking, hand sketching was done by the artists which were then painted on the clear plastic sheets. Now, artists use computer graphics to a certain extent. Today’s 2D animation employs digital technology in order to create the breathtakingly detailed scenario and artistic visualizations. Often Walt Disney is credited for 2D animation for Mickey Mouse, not many know that Emile Cohl was the first person ever to make 2D animated cartoons in 1908, 20 years before the first cartoon with Mickey Mouse was released. He made the first 2D animation called Fantasmagorie – which was a short cartoon. This black and white cartoon is 75 seconds long which took 700 different drawings to create. Numerous cartoons series during the 1960s to 1990s helped in making 2D animation popular. Most of these cartoon series like Mickey Mouse, Donald Duck, Looney Tunes, Scooby Doo, Flintstones, etc. became household names. Simpsons when first aired in 1989, made way for 2D animation in adults’ lives. It proved that cartoons are not only for children. Breaking this notion, the way world view 2D animation changed forever. Numerous other companies came forward and spoke about what it mattered to the adult lives through animation. The 2D animation will always hold its value in the world of animation. Even though people tend to say that ‘2D animation is dead’, it is far beyond the truth. It has surely come a long way. It gave the power of imagination to the world. The countless trips to the imaginative world are due to 2D animation only. The numerous articles on the ‘death of 2D animation’ have made it an industry norm. The truth is, 2D animation is very much there. It has just changed the form. Yes, there are no theater releases of the movies made through 2D animation. Today numerous businesses are utilizing the art of 2D animation to promote their products and services. Through explainer video and whiteboard animation, companies are able to draw the attention of their target audience and convey as much information they want in a short span of time. Efficiency :The animation is not an easy process. It is a complicated one. It requires skill, patience, and creativity as much as any, another art form. A lot of these go into creating characters and story that would appeal to the target audience. Businesses need to convey their messages accurately and yet in an interesting manner. Even though it is a difficult art, 2D animation is faster to create compared to 3D animation. This is because it does not require a third dimension. This let designers create animation with fewer details and hence utilizing less time. The ability to design the animation faster let the businesses can reach their audiences faster. Simple Designs: As mentioned in the above point, the absence of 3rd dimension makes it less detail oriented which is the biggest benefit of 2D animation. Here, the designs are less complicated compared to 3D animation. When highlighting a message for your brand, Plutomen Technologies can play an important role. A clean design, an eye catching game or a sales based explainer video, 2D animation can always be a great boost. It does not distract the users and help in convey exactly what is needed to be conveyed. Cost effective:2D animation being efficient and simple, it also becomes cost effective. This makes it easy for businesses to include in their marketing and advertising strategy. Since it is less complicated and needs less time, it means it can be created with the fewer number of resources. This cost effectiveness is what is translated to the price tag. 2D animation lets businesses work within their set budget and still fulfill the creative instincts and appetite. Freedom to innovate:Animation brings creativity to life. 3D animation is more real-like. Any object, scene or people are depicted in 3D animation, they appear very real. Whereas, 2D animation creates anime which do not exist in the real life. Creating images and world with people, animated cartoons make it easy to the target specific audiences of the businesses. Using the knowledge of the art and the creativity, animators develops the animation which the audience can relate to and help the businesses share their vision. 27 million pieces of content are shared daily. It is vital to grab the attention of your audience. Coupling animation with your marketing strategy can help you find the edge over your competitors and we can help you achieve that. Marketing is about demonstrating any product or service to the customers. Animation lets you do exactly that. It helps you instill the power of creativity and imagination in your marketing campaigns. It is a powerful tool which needs to be a regular feature in your marketing campaigns. Animation: 2D or 3D is no more restricted to TVs and YouTube. Videos sells better than the text. We spoke about why businesses needs video in one of our blog. Animation when added to the videos, it works wonders for your marketing. Businesses need to up their marketing with the help of animation. Conversion rates:Your customers are more likely to make purchase once they understand your products or service. This can be achieved via an explainer video. It gives you a chance to grab their attention. A visual mixture of images, sound, animation, text, and voice is a powerful medium to communicate with your audience. Condensing huge information in the short videos, 2D animation helps you in converting the numbers. SEO:According to the research of Forrester , a video also helps you boost your SEO rankings. By adding your keywords in the description and tags help your audience to discover your business. If done right by understanding what the audience really need and adding a call to action button, videos also have the power to go viral. Excellent Communicating Method:2D animation lets you send your message to the audience in a very creative and effective manner. Either online and offline, you can keep your animated videos with you in your phone and tablet. During any conversation or presentation, they add a flavour and keep the other person engaged. 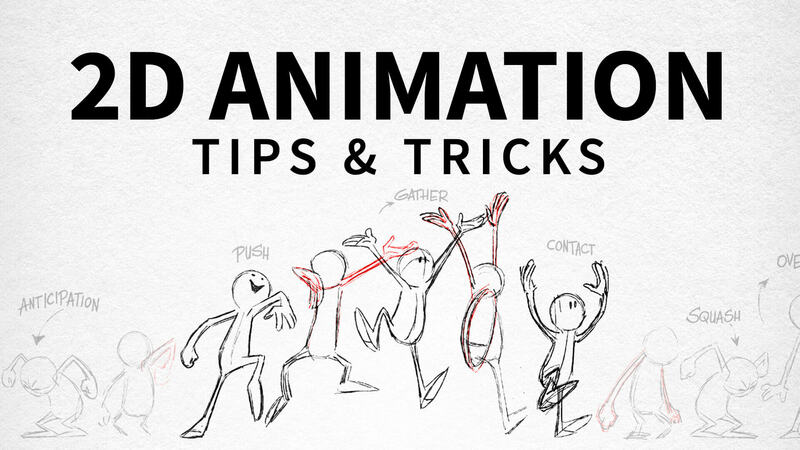 2D Animation: Tips and Tricks! No limit to the imagination 2D animated videos are not the live videos. How you want to make it work for your businesses is left to your imagination. It is a way to create something highly impactful and engaging. 2D animation gives you a liberty to experiment and move out of a typical video production realm by breaking the boundaries of reality. There is no limit to the imagination – sky's the limit. Add humor or unusual situations to grasp the attention of your audience. Script is the heartScript is the main heart of the video. Your marketing strategies and activities would not be successful if the video script is not powerful enough. Share the script writing work. Read and re-read your marketing vision and message. Understand what your customers want to hear and how they consume the information. Don’t be salesyDo not add too many jargons in your video. Do not add your marketing literature in your video. Make it simple because as it is said beauty lies in the simplicity. It is vital to communicate how your products or services will solve their problems. That is the reason you need to talk about your audience and not about yourselves. Entertaining enough2D animated videos are not to be used the way you use the powerpoint presentations. Make it entertaining and pleasing for the audiences to watch by utilizing some effective and aesthetically pleasing ideas. Just need a little bit of a creative thinking! Animation has no boundary. You can imagine anything you wish. You can show your target audience what you want to show. You can play with their imaginations.